Whirlpool 4.8 cu.ft. 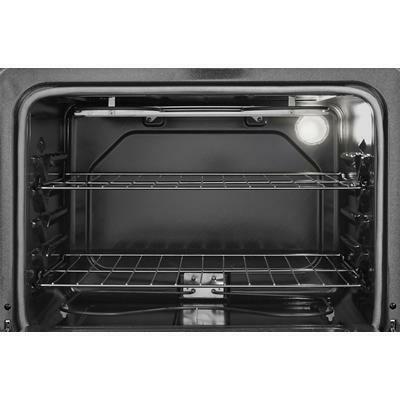 capacity ADA compliant electric range with self-cleaning oven. 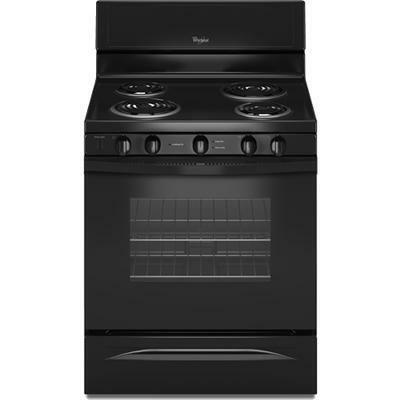 The freestanding range features upswept porcelain SpillGuard™ cooktop, chrome drip pans and a large oven window. The storage drawer puts pots, pans and other cookware easily within reach, while coil elements heat up quickly to provide high temperatures for boiling and frying. Burner/Element Size 6", 6", 8", 8"